If you have seen some of our posts on twitter or Instagram you know that we are lab parents. We have rescued 2 beautiful black labs from the DFW Lab Rescue, a local non-profit rescue group in the Dallas-Fort Worth area. 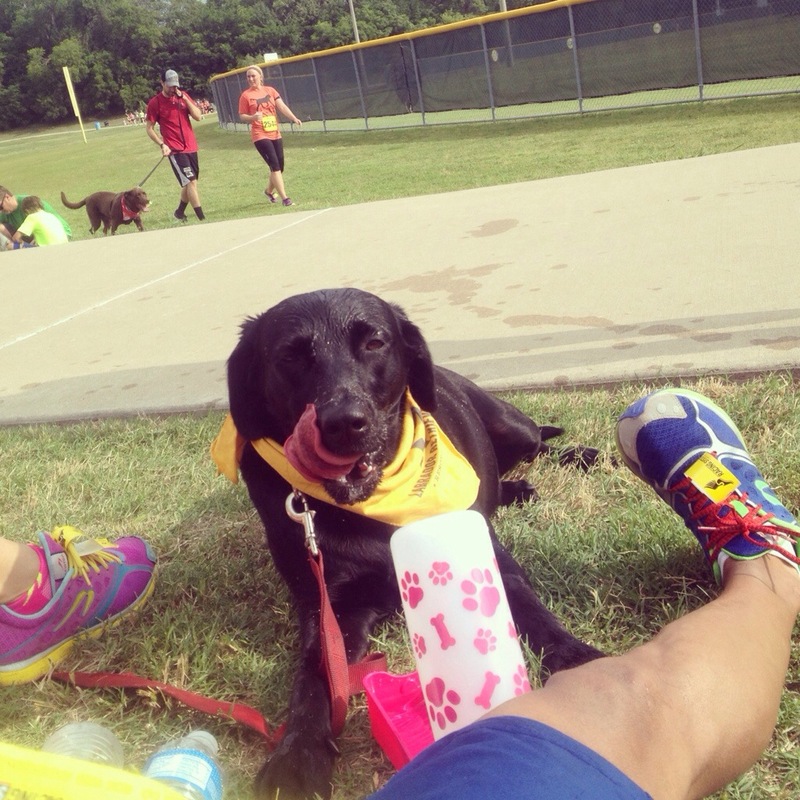 We rescued our first lab 6 years ago, a few months after we rescued her they were holding a 5k. A fundraiser to help with the costs of running the organization covering vet costs, and other cost associated with this great cause. What is best about it is that it was our first 5k. We knew we could run, simply signed up and maybe “trained” for a couple of weeks, running a few blocks around the house. Race day came up we were just happy to run with our new dog. She was so happy pulling me the whole time and she probably carried the heavy lifting a good 2 miles, but then we jogged back and finished our first 5K together. Last year we had to put Anise down after finding out she had a spleen tumor that had metastasized in her lungs and heart. We found out after a race and before our Ironman. We waited until after that big race and we went ahead and rescued our JayJay. We fell in love with her, and she did the same with us, making her self comfortable on our bed when the foster mom came to our home visit. Anyways we have done their 5K a few times, this year being the 3rd year and they had it two weekends ago. We ran it as usual, Felipe leaving us in the dust, he has gotten podiums before there so he likes it, and JayJay and I stayed in the back with the rest of the puppies. Once again Felipe got his podium and JayJay and I managed to finish it, she struggled a little but I gave her the motivation she knows now which is she will see her “papa” and she started running again looking for him. He was waiting for us at the finish line (as usual) and when she saw him she just started sprinting towards him. The funniest thing was when we were walking afterward JayJay saw a kiddie pool that was full of ice and water with water bottles and she didn’t think twice and got in it for a nice ice bath. 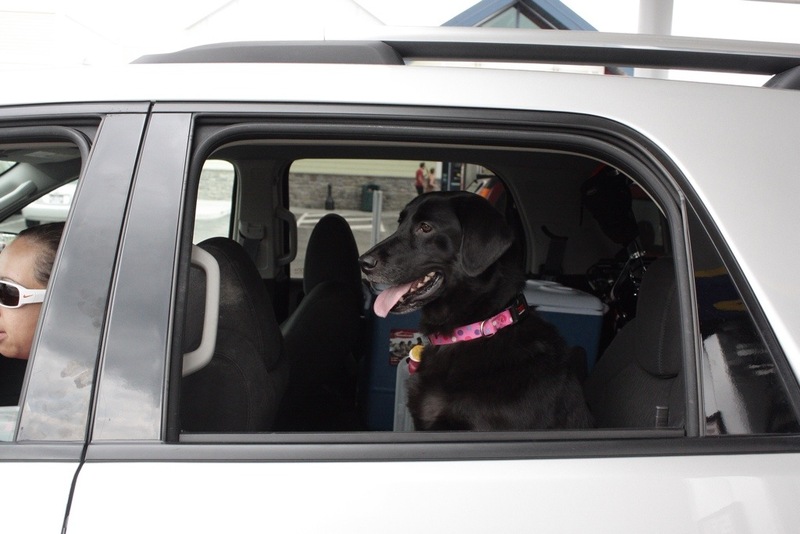 I guess dogs need that too… She didn’t complain as much as I normally do when I get in one… She looked rather happy. We also got to share it with a couple of of Tri-ing friends and their pups, most of us have that in common so we run with our 4 legged kids every once in a while, since we don’t have little humans to push around in strollers we let the 4-legged ones pull us around :). So with that we did one more 5k, but is a 5k that holds a close place to our heart for many reasons. Like I said before is the very first one, the one that got us off the couch, our beloved Anise who crossed the rainbow and our JayJay who has been a great dog and we love her to death.